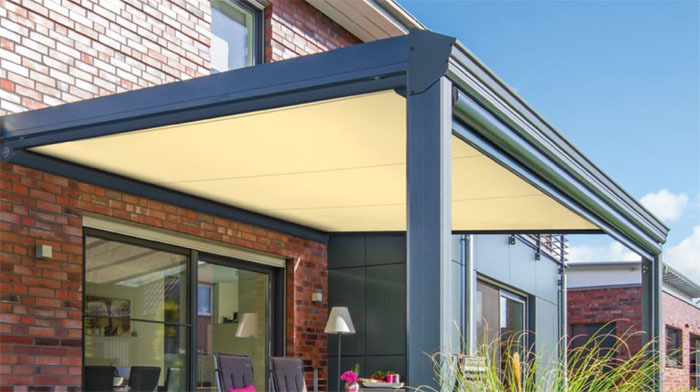 More and more people are considering covering their patio with a glass canopy: it allows light into the house, protects the outdoor furniture and even when it is raining, it is still pleasant to sit outside. A glass canopy alone, however, does not offer any protection against direct sunlight. This is where the Markilux 889 can help. 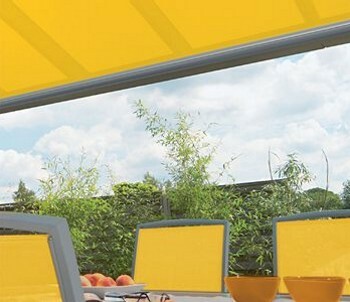 With the new Markilux 889 underglass awning, you can transform your exposed glass covered patio into an elegant, shaded area where you can sit and relax. 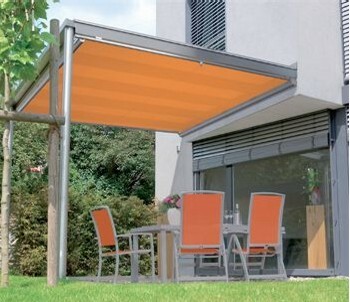 It is available as both manual and electrically operated with the option to install sun and wind sensors to provide shade and UV protection automatically. The Markilux brand is extensively popular within the awnings market and world wide known for their high quality products. he Markilux 889 is no exception. Developed especially to cover large areas of glass, it is easy to operate and retracts quickly and unobtrusively inside its beautifully crafted, tear-shaped cassette when you prefer to feel the full warmth of the sun.